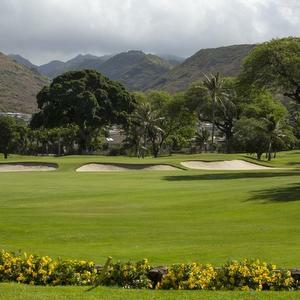 Hawaii is one of the youngest states in the United States, achieving such status in the fifties, but golf has been played among the islands for almost a century and one of the first courses was the Waialae Country Club. Constructed as a high end resort, the course was built by architect Seth Raynor along with his associate Charles Banks. The course remained unchanged until the sixties when it was largely remodeled to make way for new developments. The course was modified once again in 1992 by Desmond Muirhead. Now the course has matured into a challenging but generous course for members of the country club and their guests. 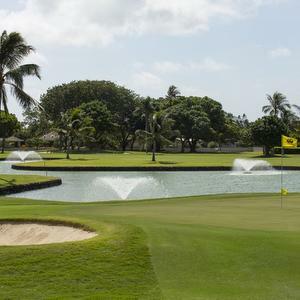 Today, the Waialae Country Club is known for being the host the Sony Open and is also the host to a PGA Tour in January, one of only 40 in the nation to do so. 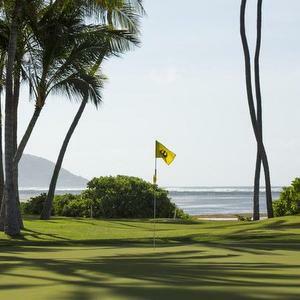 The course is rated on several levels: The Sony Open tees rate the course at 7,020 yards, 6,456 yards from the Member tees and 5,962 from the Forward tees. The course is designed with champions in mind but is also designed to be accommodating to less skilled players without punishing the ones who are really good. The course is cooled by prevailing trade winds. The generous fairways are lined with coconut and kiawe trees. Outside of the fairways are gently, tended hills of bermuda grass. Scattered over the course are 83 strategically placed bunkers filled with white sand. If you do manage to wrangle an opportunity to play among Waialae’s fairways, be sure to get out your camera for the par 3, eighth hole. Like so many other courses in the archipelago, the hole is land by the blue waters of the Pacific.